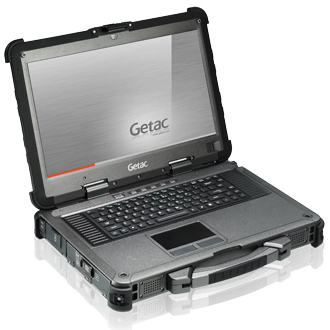 Getac X500 is the first rugged and fully equipped standard military grade commercially available notebook. For the first time, a customized military grade I/O interface is configured into standard specifications, enabling an I/O interface that fully complies with military standards. This capability greatly reduces the long period of time usually required by complex customization and realizes the feasibility of configuration of customized military equipment into standard specifications. 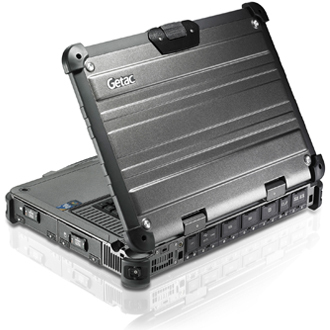 Combined with Intel® Core™ i5-520M or Intel® Core™ i7-620M processors and NVIDIA® GeForce® GT330M 512MB graphic controller, Getac X500 demonstrates excellent processing performance and is capable of compiling the intelligence information acquired from various information devices. 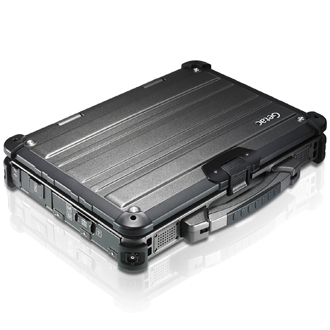 In addition, Getac X500 can effectively support special military software and perform quick conversions of 2D and 3D images and precise positioning of the locations of the enemy and own forces, making it the rugged notebook with the best processing performance among others of the same grade on the market. 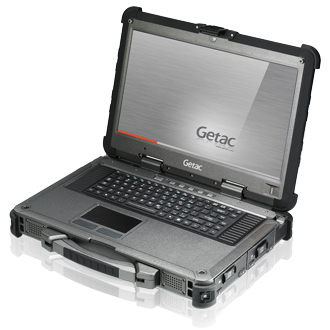 Reporting MIL-STD-810G and IP65 certified ratings issued by the military, ninety percent of the Getac X500 is made with metal, rubber and plastic materials, and passes the fungus test with excellent anti-fungus effect. With the optional expansion unit and the built-in PCI & PCIe interface, one can conduct equipment expansion and matching for maintenance according to the actual situation of time and environment, fully satisfying the demand of military customization.